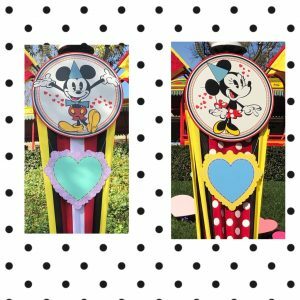 This month Disneyland is celebrating the love of Mickey and Minnie. 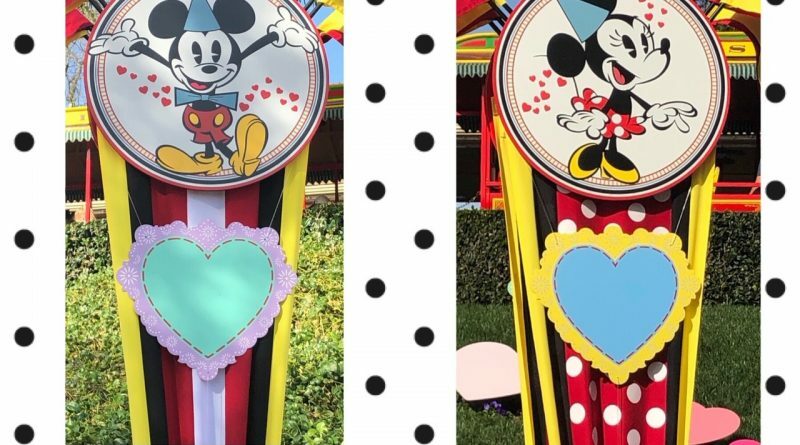 Main Street is decorated with festive banners and buntings and there is a special two-sided heart in Town Square that is a perfect photo opportunity for all you “sweethearts”! 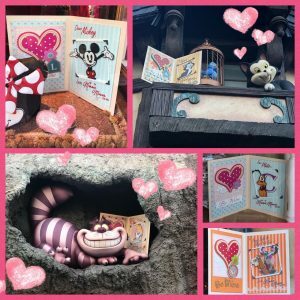 From January 22nd through February 18th visitors to Disneyland Park can participate in Minnie’s Valentine’s Day Surprise Scavenger Hunt Experience. We purchased our map/game board for $6.99 at the Emporium on Main Street. 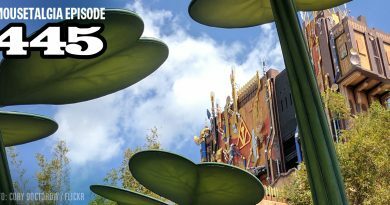 Maps can be purchased at several other locations including: Bonanza Outfitters; The Briar Patch; Disney Showcase; Disneyana; Little Green Men Store Command; and Pieces of Eight. 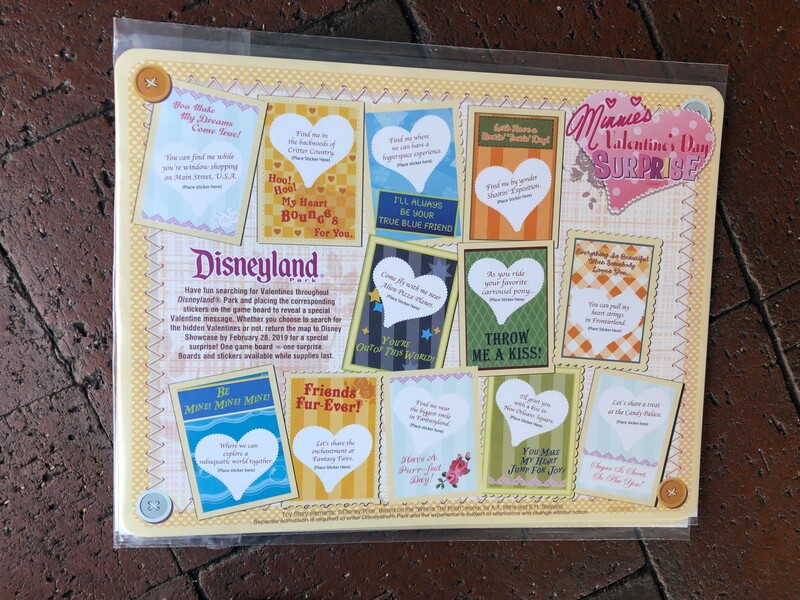 Included with the map are stickers that correspond to hints printed on the map. 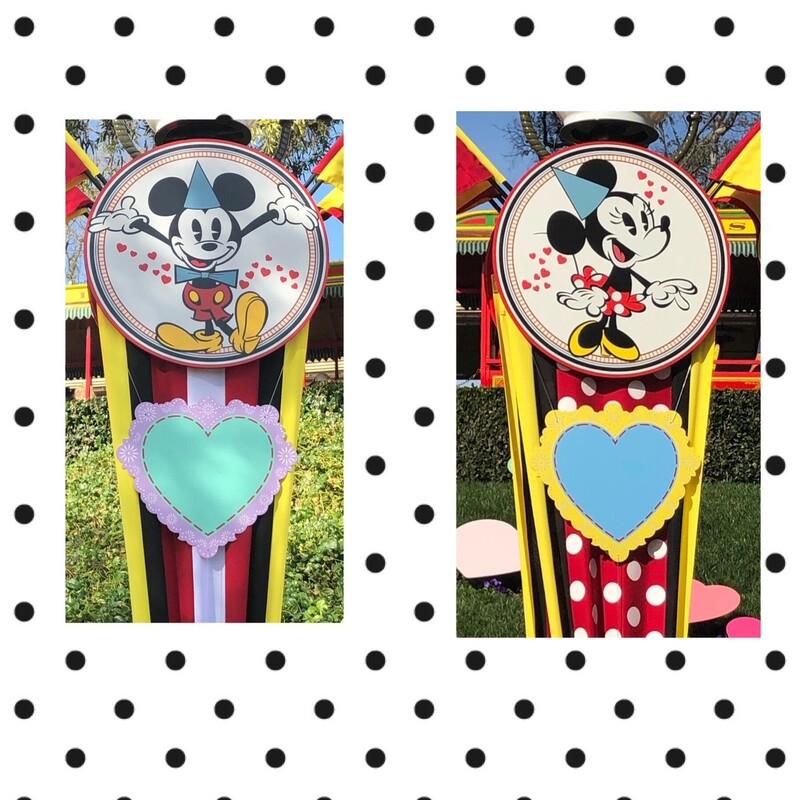 The premise is simple- Minnie has left valentines throughout the park for Mickey and your job is to read the clue, find the valentines, then place the corresponding stickers on the game board. 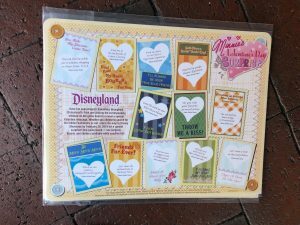 Once completed, the game board will spell out a special message which you can then take to a redemption area for a special prize. 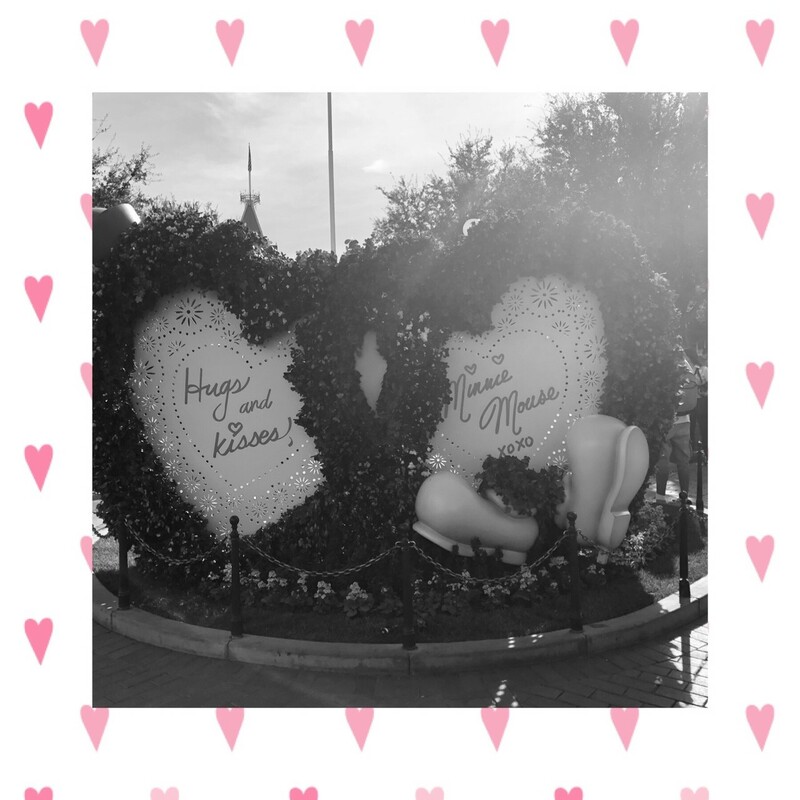 I won’t tell you what the prize is but… it’s super cute and we will probably have to go back to get another one! 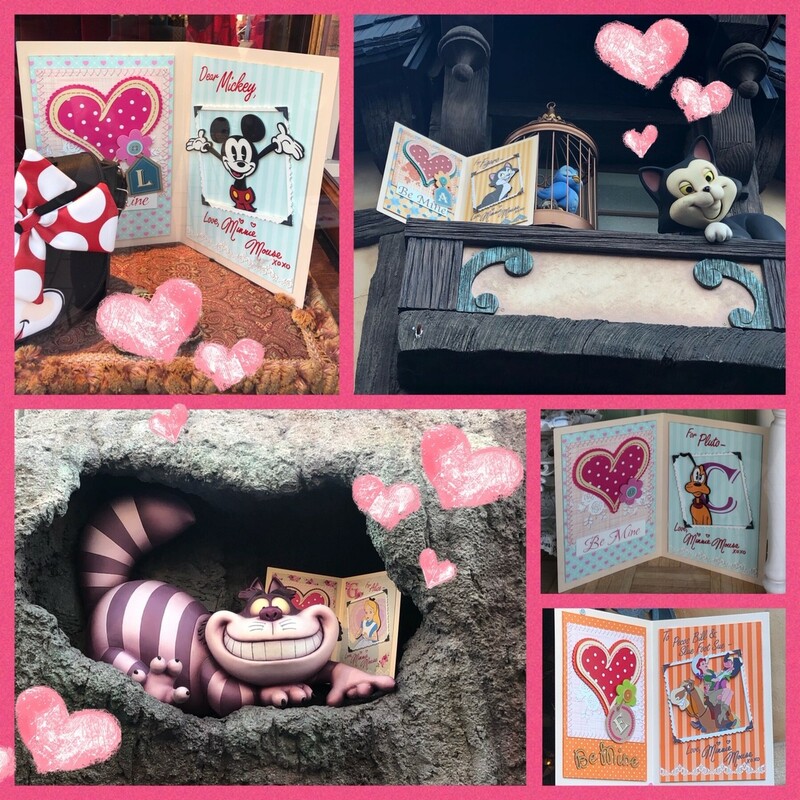 Valentines are scattered throughout the park so even if you do not purchase a map you can still join in the fun searching for cards. We saw plenty of people walking around and pointing out the various decorations and creativeness that only Disney can offer.